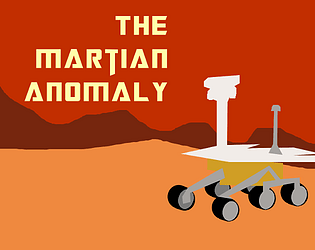 Explore an alien anomaly through the ears of a damaged martian rover. Love the idea of using positional audio to find your way through a hidden environment. Though despite knowing you need to follow the music to navigate I still ended up having trouble not running into a dead end repeatedly. Im not sure what you might add to accentuate your existing concept, but it feels strong. Just needs a little something more. Also liked the addition of voice lines at the start of the game to help guide the player. If you wanted to add some additional story, that would be a really solid way to do it. Great concept, and nice use of audio! At first I've followed the beeping, but seeing your update then I tried following music. And this works well for the first part! Unfortunately once the music change, I tried to follow it as well, but didn't get anywhere. It is still a good mechanic. What I like is the few ambiant noises we have, letting the player imagine the environment in which they navigate. It creates a deep atmosphere. The music being fantastic also helps a lot being immersed in this world. It's an ambitious concept, and while perfectible it still has great moments to offer! It's got a really good atmosphere and feels almost creepy to imagine on mars like that. This is very well done and awesome audio only design! Awesome work! Its a great concept, altho im not really sure what should i do when ive located the beeping sound. Thanks for checking it out! The idea was to have the player investigate the music, but I can see how the beeping is more appealing to go to. The beeping is the proximity sensor. We might remove it in a future version since it seems to cause more confusion than help.